What if the Next Chromecast Can Make Your TV a Google Home? I usually do not write speculation here. You will see me linking to a Chrome OS commit log or a bug report while reporting about upcoming Chrome and Chrome OS features. However, today, I have a random theory to share. You’ve seen all those rumors about how the upcoming Chromecast will have more powerful WiFi hardware and Bluetooth support etc. What if Google is trying to make Chromecast a Google Assistant powered device? Picture this. 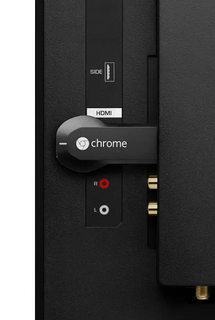 You bought your new Chromecast. Excited, you connect it to your living room TV and set it up. After the setup, Chromecast converts your TV into a giant Google Home device with a display, a larger version of that Lenovo Smart Display. Microphones on Chromecast can pick your queries and display results and perform actions on your TV. Just like any other Home, you can cast content to this device too and it won’t feel any different from the way you use Chromecast now. Chromecast for Audio also can be used in the same way. Pick up an existing speaker, connect your new Chromecast, and voila, there is your new Google Home device with superior audio quality. So, that’s my theory. What do you think? Even if Google is not currently working towards this goal, do you think this is a direction that they should take?